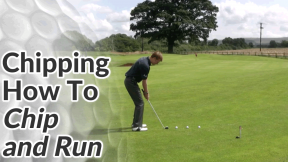 When you have simple, repeatable chipping action, you can simply make a slightly shorter or longer backswing or select a different club and get reliable, accurate results. For most golfers I recommend keeping the hands relatively quiet and passive during chip shots (i.e. 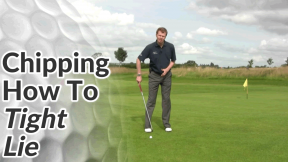 very little wrist hinging – similar to a putting action). The biggest cause of fat and thin chip shots is what I call ‘flicky’ wrists – a slight scooping motion that tries to help the ball in the air. It may not be obvious to you but if your ball striking is inconsistent when hitting chip shots, it’s probably down to too much wrist motion. 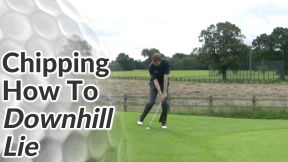 To highlight any wrist motion in your chipping action, set up as normal and then slide your grip right down to the bottom of the club – near the club head. 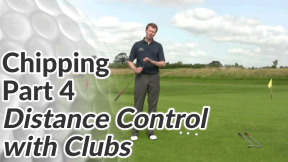 The shaft of the club should be running past your left hip (for the right-handed golfer). Make a short backswing and follow through. As you follow through, the club shaft should stay well away from your left side. In other words, it should NOT hit your left hip. 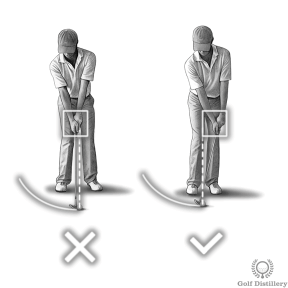 Any releasing of the wrists will cause the club shaft to strike your left side. 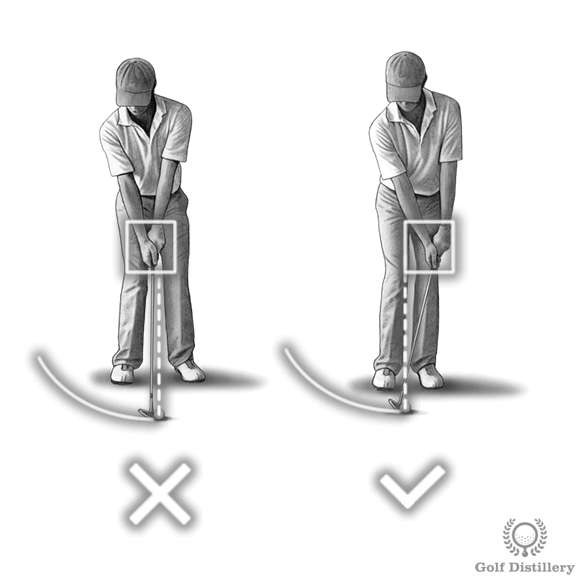 You might notice just how much you have to prevent the wrists from hinging in order to prevent the club shaft from touching you. Repeat this feeling during your normal chip shots.